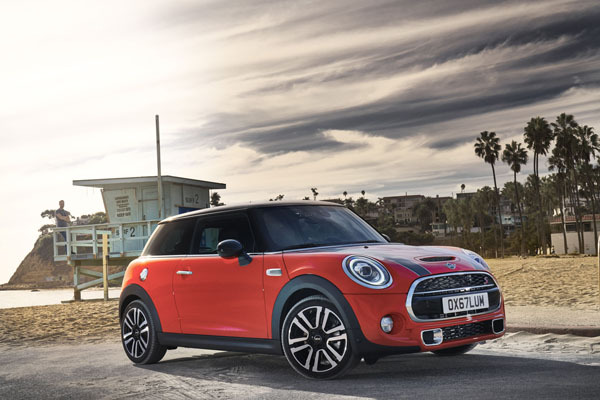 Mini has updated its Hatchback (three- and five-door) and Convertible models. They have received a facelift, a new touchscreen infotainment system and Mini Connected 4G. Very much a ‘please-customise-me’ car, the Mini can be ordered in many new colour and trim options. Five exterior colour options have been added for both Hatch and Convertible: Solaris Orange, Emerald Grey, Starlight Blue, Melting Silver and Chili Red. Then you can choose from a range of contrasting colour roof, as well as striping options. There’s a new design of the Mini logo, used not only on the exterior of the car, but also on the steering wheel, the new design key fob and the projection lighting. 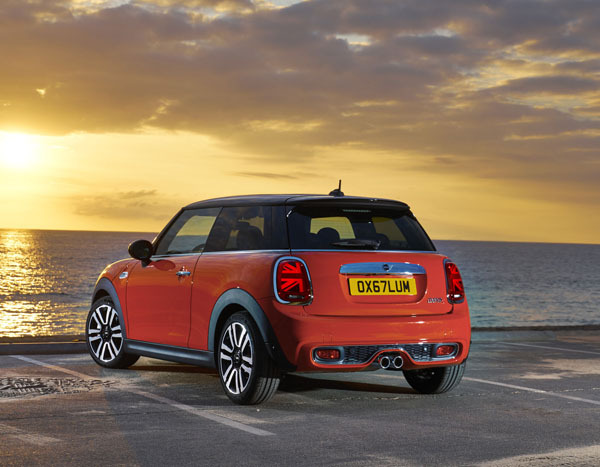 A new design of LED lights is used on the Cooper S and JCW, and is optional on the Cooper. The LEDs are integrated into the main headlight fitting. This system has increases both low- and high-beam range. An adaptive LED system is optionally available and uses a matrix high beam function that adapts to the road ahead. We’ve yet to road test the revised Minis but will do so asap and check out the new lights. Mini Connected uses the 4G network and includes Real-Time Traffic Information, Remote Services, Connected Services and TeleServices. Apple CarPlay is fitted as standard across the Mini ranges. 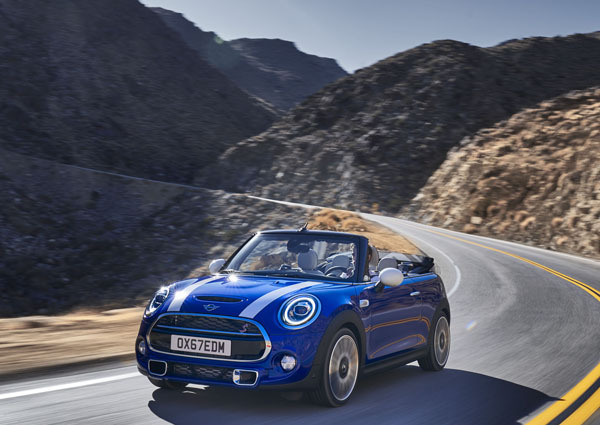 Wireless phone charging is standard on Cooper S and JCW variants and the Cooper Convertible. Note: These prices do not include government or dealer delivery charges. Contact your local Mini dealer for drive-away prices.